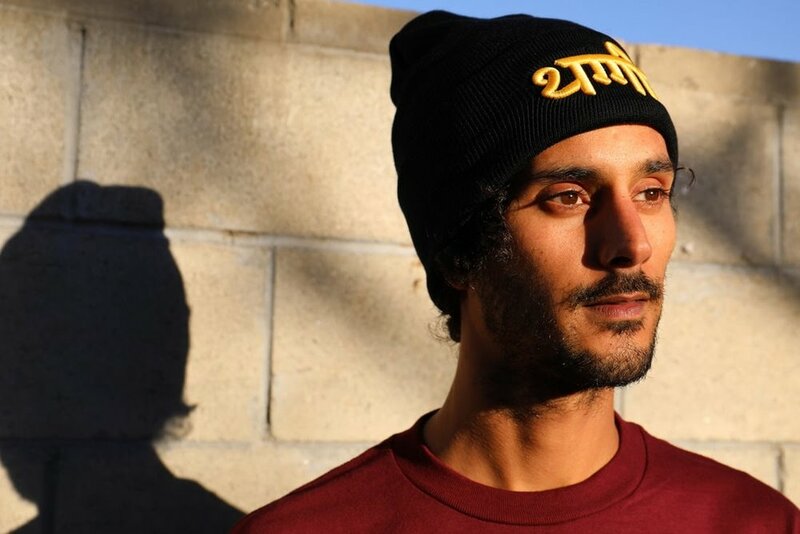 Acclaimed Los Angeles drummer and producer Te’Amir has released his latest single, “Blue Nile”, after the track premiered via LA Record, announcing his sophomore EP of 2018, Abyssinia Rise, will arrive October 19 on Tru Thoughts. Abyssinia Rise follows the July release of the Abyssinia EP which gained recognition from tastemakers such as Jeremy Sole (KCRW) and Garth Trinidad (KCRW), producer and DJ Carlos Niño, Mochilla, Red Bull Music Academy Radio and Okayplayer. Born and raised in Venice Beach to musical parents, including a father from Ethopia, who introduced him to Ethio-jazz, the greats of reggae, blues, jazz and pop such as Bob Marley, Burning Spear, John Coltrane, Miles Davis and Michael Jackson, as well as regularly jamming with friends in the family living room. Te’Amir refers to having “proper hippy beginnings” blossoming quickly into a creative career path for he and his younger brother (singer and multi-instrumentalist Tutu Sweeney) when they joined a community art program called Venice Arts Mecca where they learned painting, ceramics and photojournalism. Between 1996 to 2000, they set off on their travels across Europe, Japan, Australia and the U.S. as young photojournalists under the name: The Venice Dream Team. After this transformational learning experience, Te’Amir returned to the musical roots, attending the Hamilton Music Academy (2001-2005), where he studied Afro-diasporic percussion and rhythms through his involvement with the musical group Alma da Batucada. He continued his training in drumming at the Musicians Institute in L.A. from 2005-2007, after which he met Aloe Blacc at a recording session for Vikter Duplaix. Aloe asked Te’Amir to put a band together for him to perform at the Stones Throw Anniversary show, and he subsequently became Aloe’s touring drummer, which he has continued off and on for the past decade, additionally performing with artists such as Kamasi Washington, Kendrick Lamar, Kadhja Bonet, Ethio Cali, Mark de Clive-Lowe, YG, Kamaiyah, Kelis, Sahr Ngaujah, Allen Stone, Shafiq Husayn, Quantic and Tewodros Tadesse, amongst others. The diverse musical education Te’Amir received from his family instilled in him solid musical roots, which he’s maintained in the beat driven soulful explorations he produces today. Seeing music as key to his enjoyment of life, Te’Amir states that his driving force to make music comes from: “the joy of creating”. Essentially, it is Te’Amir’s innate wish to create that has driven him throughout his life.